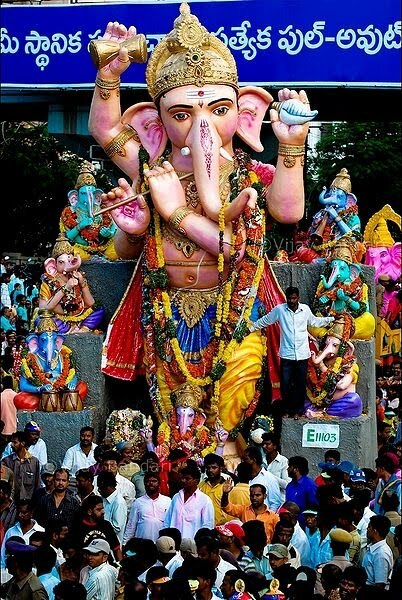 "At Home in Hyderabad": ExPat Interview!! One of the first (and BEST!) things we did when we first arrived here was to join the "Twin-cities Expatriates Association of Hyderabad and Secunderabad" - thank God they shortened it to TEA !! In addition to hosting a wonderful dinner at the Walden Club in Jubilee Hills each and every Friday night, they host a number of very cool events throughout the year. It's been a wonderful group to be a part of...and a great place to make new friends and get the latest information on what is going on in Hyderabad and the surrounding area. I think my favorite thing has been the "Ladies Lunch" on Thursdays at Noon. Since I usually go, they now just call it simply the "Thursday Lunch Group". A new restaurant is chosen for every week...and the food and the company are just terrific!! We've been to brunches, some special events like "food fair" cuisine, a grand opening of our favorite coffee shop - Beyond Coffee - and a couple of nice local eateries. Last week it was the Waterfront Restaurant overlooking the lake at Hussain Sagar. The person most responsible for setting up the Thursday lunches and keeping them going is our new friend Meera Kohli. Meera is a bit of a local celebrity. She is a writer for various publications here in town - known for her restaurant reviews and other feature articles (probably why our Thursday group always gets such a warm welcome! When did you come to Hyderabad? Answer Interviewee: Los Angeles, California, U.S.A.
Answer Partner: We actually live in Pasadena! Answer Interviewee: A great opportunity at my firm (Deloitte) and to be a part of a growing and vibrant tax practice here. Answer Partner: To continue to be a part of a growing and vibrant marriage!!! Answer Interviewee: At least 22 more months. Answer Partner: If given the opportunity, I don’t think I’d ever leave! How have you found working conditions in Hyderabad? Answer Interviewee: Very similar to the L.A. office that I cam from. Answer Partner: My main “job” is “Creating an atmosphere where Suzzanne can succeed.” That is a given, and does not change no matter where we are in the world! How have you found living conditions in Hyderabad? Answer Partner: We love our house and living in the hustle and bustle of our Banjara Hills neighborhood. The place is just so alive! How have you found life, in general, in Hyderabad? Answer Interviewee: (Laughed) REALLY different than my life in L.A.!! Answer Partner: I just love it. Hyderabad is a very big city, but it has a very small-town feel about it. Everybody seems to be friendly, and everybody seems to know everybody else in one way or another! What you've liked about being here? Answer Partner: I like it all! A bit about your background / education / previous employment...? A bit about your family/children (if any) etc. Answer Interviewee: No kids. Just our “daughter”, “Beloved” the Lhasa Apso who came along for the journey. Have you been able to pursue them whilst here? Answer Interviewee: Yes…and I like it! But if you come here with expectations of finding the Southern California horse scene here, you will find a world of difference. You have to be O.K. with that in order to fully enjoy the experience…and I’m really beginning to enjoy it! Answer Partner: Oh, yes! You’ll find me at Boulder Hills CC at least twice a week! Have you taken up new hobbies / pursuits since coming here? What do you miss the most from / about your home country? Answer Partner: My friends. But I do a pretty good job staying in touch with people at home through my blog, Facebook, etc. Answer Interviewee: I guess the biggest way has been reconnecting with my husband - and just knowing that I could even make such a drastic change and survive! Being here has also changed my perspective on life in general. Answer Partner: Too many to list!! The spiritual nature of Indian life can be overwhelming! I remain open to all of it! What advice would you give to new expats coming to live / work in Hyderabad? Answer Interviewee: Come on!! Don’t hesitate for a moment! Having a spouse who is excited and engaged will make all the difference in the world in your success here! Answer Partner: Embrace India! Don’t try to duplicate your life at home. Don’t try to change India…that won’t happen. Let India change you! Oh…and be prepared to stand in lines! Answer Interviewee: My new 5:30 A.M. to 2:30 P.M. shift at work is just brutal!! Answer Partner: Not being able to drive! Answer Interviewee: Thank you for being so welcoming, kind and patient with us! Answer Partner: N/A - same. 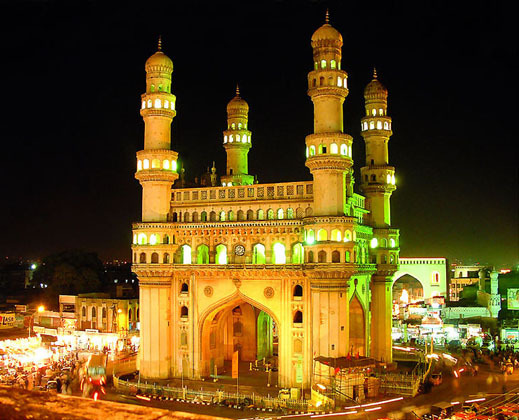 What you would like changed / begun in Hyderabad? Answer Partner: This is a beautiful city and people need to stop littering! What you’ve disliked about being here? Answer Interviewee: Living in fear that some day my husband will attempt to drive here!! "Answer Partner: To continue to be a part of a growing and vibrant marriage!!!" This is most facinating, are the twoof you stillin Hyderabad. I have returned to Indianafter 20 yrs in the US and have many experiences to share about life on the other side. let me know. Actor Siva Balaji, who is popular for films like Arya, Ashokgadi Love Story, Sambo Siva Sambo and Dost, has now decided to turn producer. He got a good script and decided to produce it. He is also playing one of the lead actors in it.